The long-awaited collection of essays reflecting the work of the Diasporic Literary Archives Network has now been published. Entitled The Future of Literary Archives(edited by David C. Sutton and Ann Livingstone), the book is published jointly by ARC Humanities Press and Amsterdam University Press. 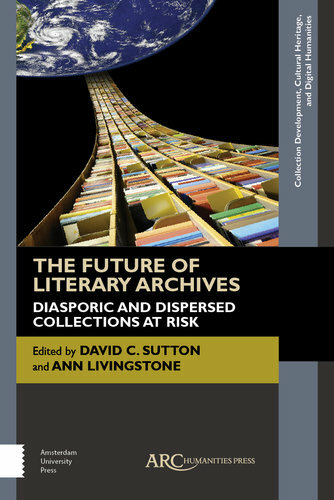 The contents reflect many of the themes and challenges which were pursued and developed by the Diasporic Literary Archives Network, and it is indicative that the book’s Index, in addition to referencing the many literary authors cited, has multiple entries for concepts such as “the politics of location”, “archival ethics”, “archival return” and “appropriateness of location”. Other major themes of the book include the market in literary archives, archives at risk, publishers’ archives, the particular case of Caribbean archives, digitisation and digital archives, the collecting of emails, translators’ papers, appraisal and selection, and cataloguing challenges. For more information about this title, and how to purchase it, click here. The Federation of Children’s Book Groups is celebrating its 50th anniversary this year. Founded in 1968 by parent, teacher and television producer Anne Wood CBE, the organisation is passionate about bringing children and books together, working at both national and local levels. 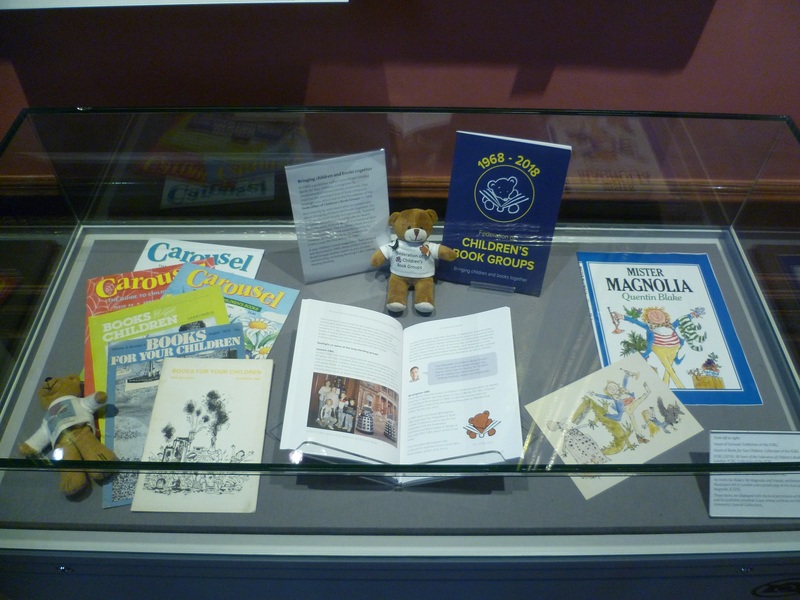 This exhibition traces the history of the Federation of Children’s Book Groups including the Children’s Book Award, which is the only national book award voted for entirely by children. It has been co-curated by the University of Reading Special Collections and Getting Reading Reading, which is one of the Federation’s local children’s book groups. They are one of the twelve Testing Groups for the award. 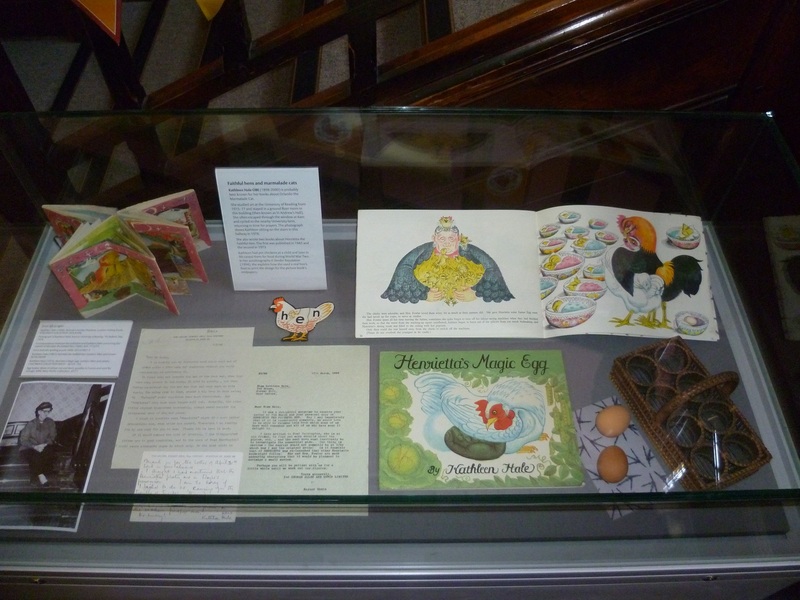 The exhibition features some of the past winners of the award displayed alongside books and objects from The Museum of English Rural Life and the University of Reading’s Special Collections. There is a particular focus on the theme of animals in children’s literature. The associated trail will lead you around the exhibition and beyond into The MERL, where you will also find the Ladybird Gallery. You can find out more about the work of the Federation of Children’s Book Groups by clicking here. The FCBG have also posted a blog about the exhibition on their own website. The exhibition will be on display at the Special Collections Service until Tuesday 31 July 2018.